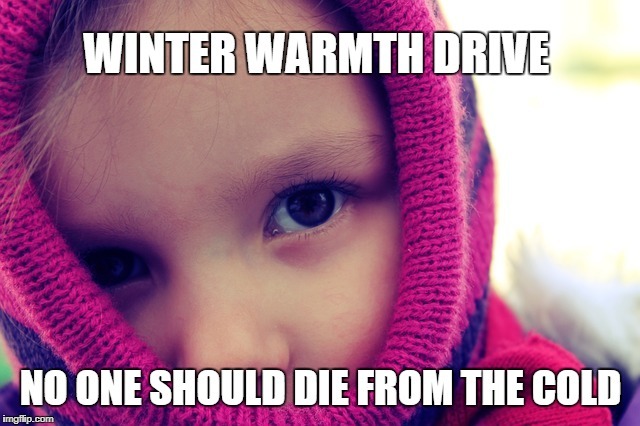 Winter Warmth Drive Extended Until Friday, February 9, 2018 in Farmville, VA! Thanks to the generosity of the Farmville community, and of Navona Hart and her staff at Real Living Cornerstone Realty, we're extending the collection for the Winter Warmth Drive! We'll continue collecting until noon Friday, February 9, 2018. "One area cafe is helping to keep people warm with more than just coffee and tea. There is now a coat rack outside of Brewer's Cafe in Richmond's Manchester neighborhood. It is called the "Need One, Give One" coat rack, and the concept behind it is simple - if you need a coat, you grab one. If you want to give a coat, hang one up on the rack for someone else...."
".So, if you need a coat, or simply want to donate one, just head to the cafe located at 1125 Bainbridge Street....."